No Ka Oi is a wild ale with an ABV of 6.3 percent. 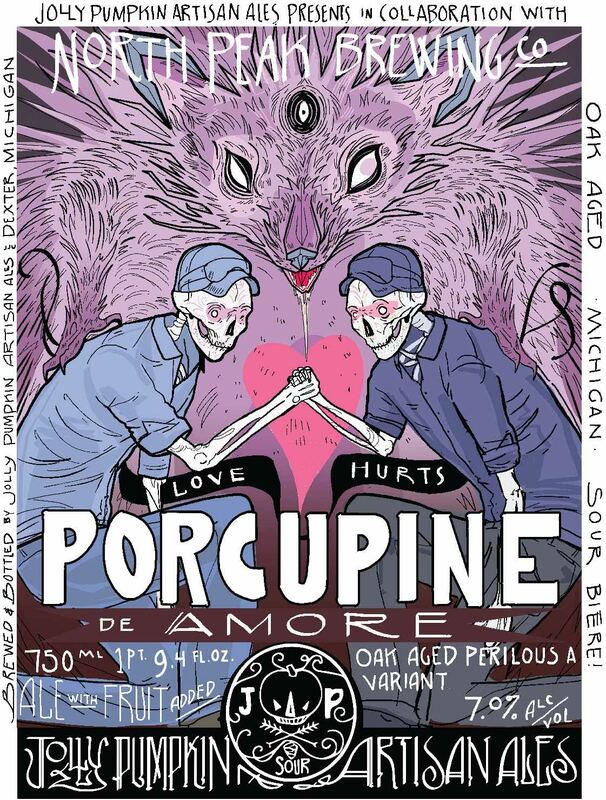 It was brewed with all Michigan hops, raspberries, and lime peel. No Ka Oi was brewed for Gabe Fletcher, founder and brewer of Anchorage Brewing Co.
Oro de Calabaza is brewed in the Franco-Belgian tradition of strong golden ales. 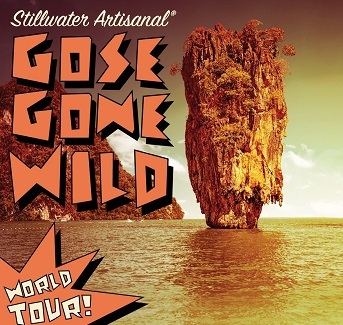 Spicy and peppery with a gentle hop bouquet and beguiling influence of wild yeast. For our Grand Reserve Ron selected the following batches. That is an average of 17.5 months in oak before we bottled the final product back in May 2015. We then allowed this batch to bottle condition, tasting every few weeks, until Ron said it was time to let these birds soar! The result combines the taste of green papaya and the near rind edge of a fresh pineapple entwined with thin sliced orange peel. With each successive sip a light wash of Brettanomyces ties together with our classic Jolly funk like a bow, finishing slightly dry and refreshing. 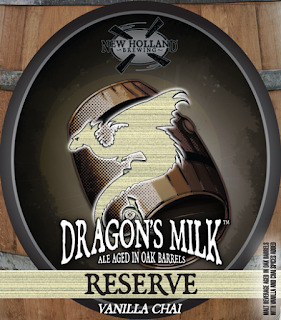 This is a very limited release of one of our most acclaimed beers so don't miss out! and carbonated this beer to be ready for the glass. 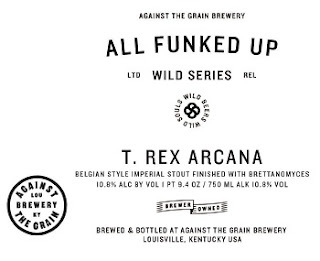 T. Rex-Arcana is a beast of mindless, wild Belgian indifference. A Bretted version of our Flex-Arcana, sitting like its fossilious namesake in the dark, becoming more terrifyingly beautiful, hard-edged and intricate: this beer has bite. Bittersweet chocolate, tobacco and ash are met with tart cherry and an acidity akin to red wine. Monsterous. The first stop on the GGW world tour - exotic flavors from wild nights in foreign lands. Rye ale aged in Rye Whiskey Barrels. Cluck Cluck! The Chiquen has come home to roost! 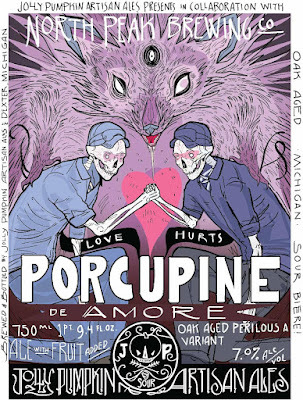 An amber ale brewed with rye malt and aged in rye whiskey barrels. 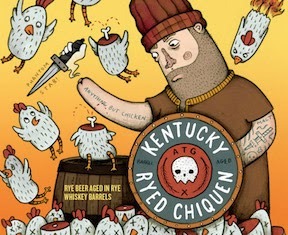 Our first barrel aged beer here at Against the Grain is the Kentucky Ryed Chiquen. Named so because it was made in Kentucky, has a lot of Rye in it and was aged in rye barrels and it's not Chicken. As we all know (or should know) Chiquen refers to anything that is not chicken. Now that we have all that straight, we will talk about what is in this beer. 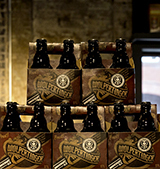 Brewed with Maris Otter from the UK and rye malt and caramel rye from Germany, imparting a spicy, fruity and dry flavor. Then hopped with enough English Nugget and Kent Goldings just to balance and fermented with our house ale yeast. After fermentation we moved the entire batch into the AtG private dining room and into used Redemption Rye barrels from our good friends at Strong's Spirits. 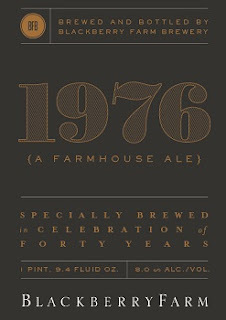 There it aged for 5 weeks until we felt it had picked up the right amount of residual bourbon character and oak flavors. We then transferred it to our serving tank, carbonated it and the end result is on tap now, a balanced drinkable and complex barrel aged beer. The artwork that makes up this label "King of the Falling Fruit," serves as a reminder to open your eyes and catch opportunities. 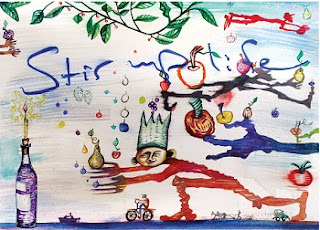 Out of the blue at the end of the summer, we had fruit falling at our feet. A local farmer had an overabundance of fresh peaches and plums. Not knowing what we planned to do with the fruit, we took the opportunity. 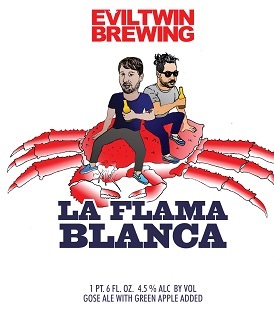 Much like when Andrew Saftel offered to make a piece of art for a beer label We didn't know what it was going to be, but we knew it was an opportunity not to miss. 2016 marks Blackberry Farm's 40 year anniversary. It's a milestone that balances old and new, established and exciting, familiar and fresh---just as our farm has since the beginning. This jubilant imperial Saison---with notes of bright citrus, spicy hops and a bone dry finish may be served immediately or cellared for later enjoyment. This fourth release in our Native Series was fermented with a wild strain of native yeast and aged with tart and sweet cherries before bottling. This is very intense with blackberries, dark chocolate, fresh mushrooms and blackcurrants. 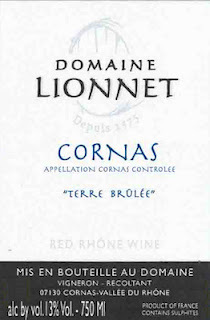 Full-bodied, fine and fruity yet complex and intense. Structured and lightly austere. Beautiful. Drink in 2020. New - limited - in stock now at Forsyth you can order online for transfers. 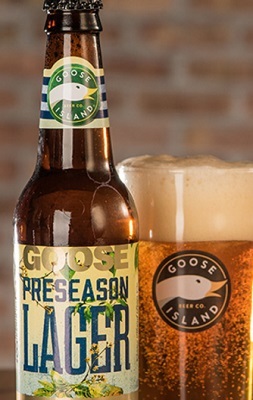 At the corner of Fulton & Wood streets in Chicago, Goose Island’s original brewery has been a hub of innovation since its doors opened. To this day, the spirit of experimentation remains strong with the Fulton & Wood series. 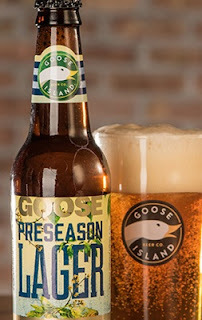 Each release gives Goose Island employees from throughout the company the chance to work with our brewers to concept new, exciting beers from scratch. Fassinator, pronounced “Fahss-in-ator” like Arnold Schwarzenegger would say, is Goose Island’s take on a Blonde Doppelbock. The name is derived from the combination of the German word for on draught, “Vom Faß”, and the traditional ending of most doppelbocks,“–ator”. 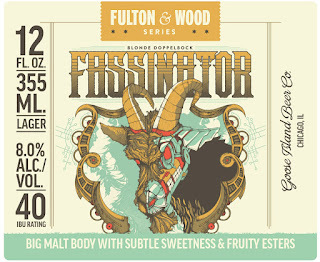 Fassinator has a subtle hop aroma with a moderate body, smooth biscuit malt flavor and moderate bitterness creating a unique balance to this classic style. 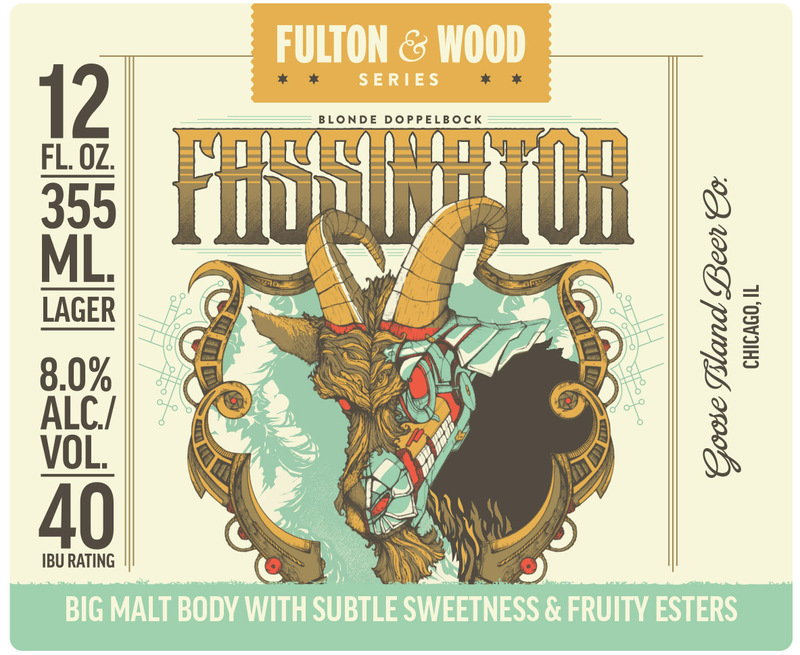 Don’t underestimate this beer however, Fassinator clocks in at 8.0% ABV. We spent over a year prototyping R&D versions of Nu Skool. This final version is one special beer. It is an IPA with a slight malty sweetness, but overall balanced & brimming with tropical, fruity, spicy, piney & citrus character. 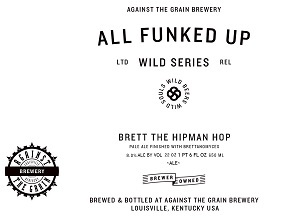 To contrast our IPA, which most closely resembles a traditional English IPA in malt & hop bills, we wanted to brew an India Pale Ale in a new way. West Coast brewers have been brewing lighter, more “Americanized,” yet still full of hop character & our brewers wanted to try their hand by brewing their take. HOP PROCESS: We used 3.5 lbs. of “new school” varieties of hops per barrel of beer. We load our hopback to the brim with Mosaic hops for a big tropical fruit character. A nice whirlpool dose of experimental hop #07270 gives the beer a flavorful, resinous character. We then dry hop this beer on two separate days with a large amount of Mosaic hops in our hop cannon & Simcoe + Equinox two days later. Beer is made by creating a liquid rich with fermentable material. This ‘wort’ is moved to a fermentation vessel where yeast, a living organism, is added. Yeast swims around the fermenter gobbling up the soluble sugar and converting that energy into alcohol. Imagine the feeding frenzy of millions of tiny yeast cells eating their way around a big fermenter. It’s a volatile and active environment. 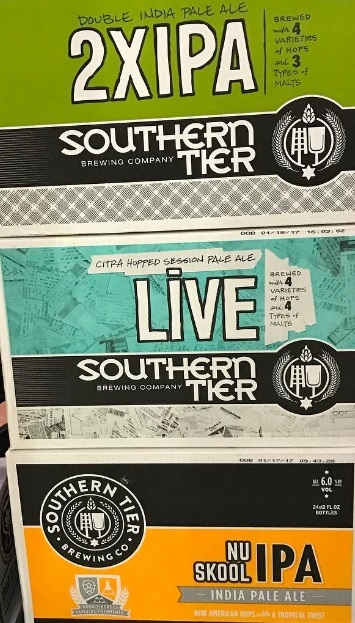 During this time, the beer is literally alive. 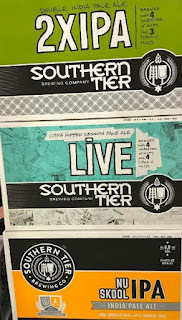 When we named the beer “Live” we wanted the label to have the feeling of live music. Our art department came up with the idea of using ticket stubs. Those shown here are from our staff at the brewery and our friends from around the country. Look closely– we may have rocked out at some of the same shows! Six years and yet another sighting/interpretation of the Bavarian-indigenous…mammal?! This time around people are saying he’s a tad darker with slightly more tart, robust flavor than in years past. 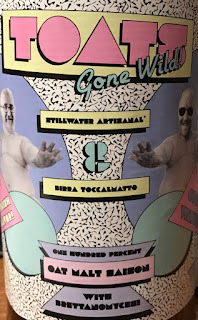 Is it the roasted malts, the raspberries, the ale yeast, or the two years of captivity in Scotch whiskey barrels that have created this aura…or is it more? Catch him if you can and find out for yourself. Deviant Dale’s IPA (8 percent ABV, 85 IBUs) was born at the crossroads, in a juke joint, as if Dale’s Pale Ale sold its soul to balance Deviant’s foreboding aromas of citrus, grapefruit rind and piney resins, its copper ball-of-fire color and inscrutable flavor-intense finish. Deviant is the Devil incarnate with untold amounts of malt and hedonistic Columbus dry-hopping. In stock now at Forsyth and Rock Hill. ROCK HARD AND CARRY A BIG GLASS! Kick back and crank it up as we’ve done all the brewing…the we being us and the special guest appearances of two heavy hitters in the indie craft beer industry: New Mexico’s Marble and Colorado’s Odell. Credited with 58 years of brewing chops, our trio built their wheat ale foundation on the classic “C” hops. Then, we rocked a pure hop triad of “M” hops to achieve a supercharged succession of orange, tangerine, lemon, lime, spice and dankness. The undulating riffs of Motueka, Mosaic and Mandarina Bavaria hops slash through the wheat haze with equal footing, never playing over one another. The cacophony of flavor is what fans would expect with a name like Megawheat. So join us as we forge ahead on a path that directly leads to the main stage…and then off the front of it, into the crowd! If you feel the urge to smash the bottle afterward, don’t. That’s what guitars are for. 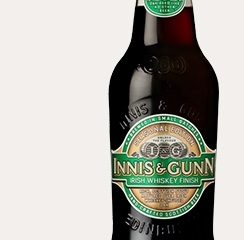 This Innis and Gunn Stout has been aged with Irish Whiskey oak chips. The result is a rich, complex beer with a velvety smooth finish and notes of dark chocolate, coffee and treacle. We were told we would see some today, but it did not show up. In stock at Forsyth, should be hitting all of our stores today. Imagine the tropical haze of a lazy afternoon- into-evening. Your official duties for the day have been to maybe take a hike to a secluded waterfall, perhaps grill something, definitely chill with plenty of sand between your toes…and crack a phenomenal beer to complete the experience. Check, check, check again and…pfffft…check. WELCOME TO OUR VACATION TRANSPORTATION EXPRESS! This ain’t no just-add-juice approach. This one is for adults. We use bountiful whole tangerine purée, which brings pithy, crisp bitterness to the citrus flavor. In addition to the complexities of the tangerine — the likes of which you can only get by using the whole fruit — we judiciously employ just a hint of whole pineapple for a backnote (you’d likely not even pick it out of the mix if we didn’t tell you it was there). We’re not looking for a sweet concoction to appease the “I want my beer to taste like fruit juice” crowd. This is Stone. We like our IPAs to taste like IPAs. Big, bold and not for kids. 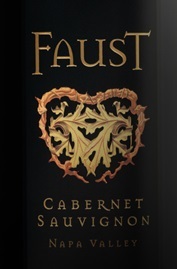 Crafted in a fresh, soft style with bright apple and sweet citrus fruit character with subtle spice and oak nuances. We blend Chardonnay grapes from vineyards throughout Washington’s Columbia Valley to make this a complex, interesting wine. 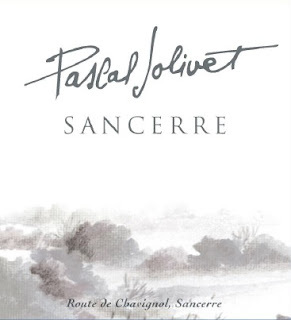 The sur lie aging gives it an appealing richness. Important reminder: Always give your phone number at the register, every time you check out if you are a member of our Whiskey or Beer Reward Clubs. We did finally get the Thomas Handy Rye and William Larue Weller in stock and are finally going to do the weighted raffle for those. Plus there might be a few others thrown in also. After much debate, we decided to run this as a separate raffle and even if your name was drawn in the previous raffle, you are still eligible. It was just going to be to cumbersome to do it any other way as we got rid of all the information from the previous raffle. It would have been tough to re-construct it. The only way to get Pappy Van Winkle is through our Whiskey Reward Club. This year's release will be based on 6 months purchases since we just started the WRC, but next year (starting with 2017) it will be based on a full 12 months of purchases. As you may know, many people come out of the woodwork this time of year just looking for Pappy, but we want to reward people that have supported us all year long. How do I get other rare whiskey? Through our WRC + random bottles will appear on the shelf without notice + through our WRC Pop up program (see more info below). The Pappy Van Winkle Raffle will include other limited releases that come in between now and the raffle too. Now that we have been using the WRC for about 6 months, we do not send out offerings to the whole list, only people whose name was drawn in the weighted raffle get emails informing them that they received a bottle. More info on the weighted raffle below. How does the weighted raffle work? Having accumulated enough data over the past 6 months, we have decided that for every 300 dollars you spend over the course of the 6 months prior to a release (an average $50 per month) you will get one raffle ticket in the lottery. If you spend $800 we will divide by $300 and round (800/300= 2.67, so you would get 3 tickets in the weighted raffle). Before we were doing the top 100, 200 or top 300 people. From here on out we will count $300 purchases as a lottery ticket. That way people will not be in the dark on where they stand. You do not have to worry if you are at the top of the list, if you spend more than $300 over the course of the last 6 months, you are in the raffle for the current release. We still take half of our allocation and that goes to the top of the list of WRC and the rest is used for the weighted raffle. No, sorry there is no fair way to do this. We have been advertising on our blog, emails, twitter, facebook for 8 months about the WRC to sign up and telling people that this is how rare releases will be sold. We do not want to give false hopes. Many releases we get 6 bottles or less, the odds still are not great. We have around 1,000 people in our WRC program now. This is why we started the WRC, how do you decide who gets these 6 bottles of rare whiskey out of thousands of customers at all of our locations. We are just trying to be as fair as possible. This will be the only way to receive Pappy Van Winkle, the Orphan Barrels, Four Roses Limited Releases, Buffalo Trace Experimental, Buffalo Trace Antique Collection, Laphroaig limited releases, Balvenie Tun, limited Japanese Whiskey, and so on with other rare whiskeys. We base the allocation on the previous 6 months sales at the time of the release. We feel 6 months is a good amount of time to reward regular customers. We also feel that is a good amount of time to let new people sign up and eventually get in on the allocations. The goal of the program is to reward people that shop at the store on a regular basis. 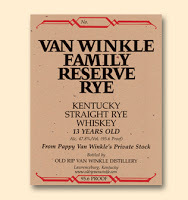 We can obviously sell Pappy Van Winkle 1000 times over, but we want to get them in the hands of our regular customers. Without our regulars, we would not be able to get these bourbons. There is no fair way to decide on these, we feel this is the best. Release of bottles will be based on your total purchases: wine, liquor, beer, cheese, nuts...everything in the store. The releases will still be a raffle method. But it will be a weighted raffle. The more you spend the better chance you will have as you will get more raffle tickets for each release. We take half of our allocation and that goes to the top of the list and the other half we use a weighted raffle. Now that we have received enough data, we have decided that over the course of 6 months, for every $300 dollars you will get a ticket in the lottery (spending $50 per month). If you spend $600, you will get 2 tickets and so on. We will still put random rare whiskey out on the shelf for shoppers to find as we do now. New feature: Our new POS system allows us to randomly select a Reward member -- when you check out, a message will pop up on our screen saying something like "you have been allocated a bottle of Rare Whiskey from our Rare Whiskey shelf". Again, as a way of rewarding people for shopping in the store. This will be totally random and we will not know until you actually go to purchase something and this note will pop up. This has been very successful in our Beer Reward Club. You will only be allowed to win once every 6 months, then it will reset again. We will post updates when whiskey is coming and when allocation emails have been sent. You will get an email if you get an allocated whiskey, you have 7 days to pick up or we will draw another name. VERY IMPORTANT: After you sign up, make sure you give your phone number each time you check out. This is how your purchases will be tracked. Sometimes when it gets busy the checker might forget ask you. Just tell them when you are checking out that you are a member of the one of our reward clubs. You do not need to mention if it is beer or whiskey. Plus, we will have some holiday help that will be working at the register that might not ask as they will be part time and new. Your name should appear on your receipt, if it does not, tell the checker immediately because that means your purchases are not being tracked. You can join if you shop our online store also. Guidelines are subject to change. We will evolve the system to make it better based on customer comments and how the first releases work. We have been evolving the Beer Reward Club over the past few years and it seems to be getting better and better. We will always give notice when we adjust the guidelines. 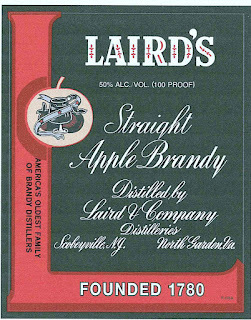 Lairds 100 proof is back! 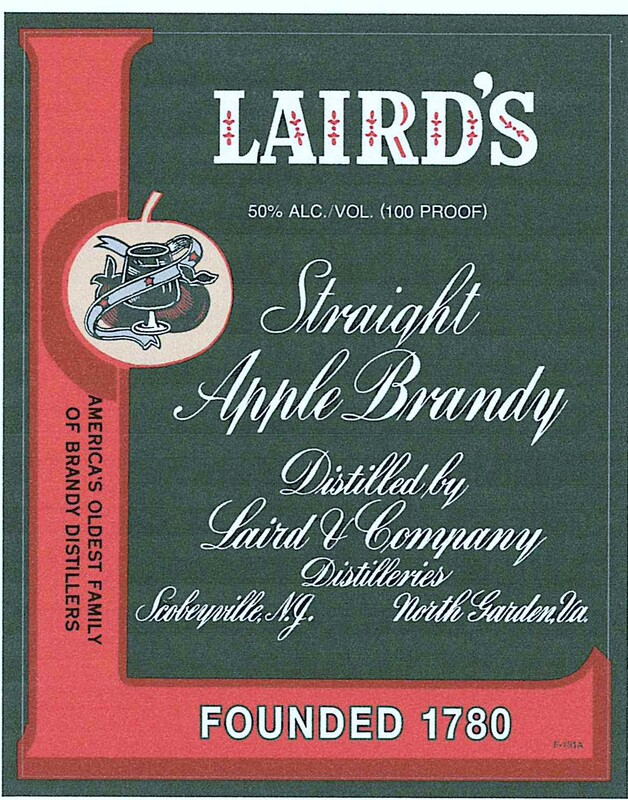 Their 100 proof is back, currently not bottled in bond right now due to increased demand, they ran low on older stock. To be bottled in bond, it must be produced from one year and at least four years old. Due to demand, they were forced to blend multiple years on this one from 3-5 years old. They hope to return to bottled in bond at some point. 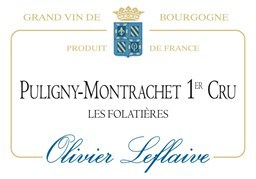 Amazing Puligny scores 94 points! 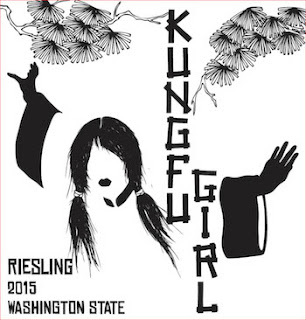 Only 30 cases imported according to The Wine Spectator. Well-marked by oak, this white offers peach, lemon cake, smoke and toast flavors. A buttery note emerges, leading to a chalky, tactile sensation on the finish, along with vibrant acidity. A touch more hedonistic than its peers. Best from 2018 through 2028. 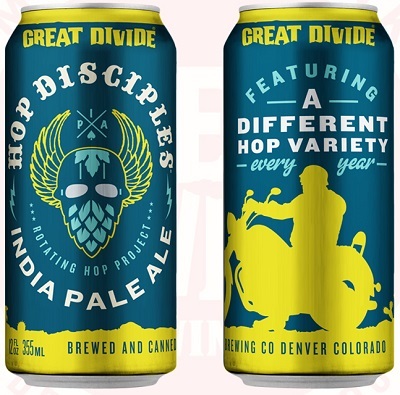 Hop Disciples – Rotating Hop Project takes a bright, clean IPA and puts a different hop variety at the forefront of the sensory experience every year. The inaugural release features Idaho 7, which shows up punching with aromas of orange zest and stone fruit complemented by a hint of black tea leaves in an uncharacteristic element of subtlety. Hop Disciples may look tough on the outside, but with its golden blonde hue and approachable 6.2% ABV, we promise it’s a lover not a fighter. It looks like Buffalo Sweat. It has the same dense, foamy head — though it’s a little darker — and it leaves the same sticky lacing on the glass. The aroma is spot-on. Coffee. Chocolate. 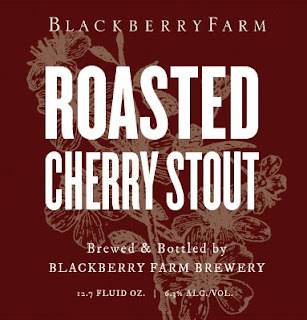 Roasted barley, hints of toffee and a little bit of booze. Take that first sip. The familiar coffee and chocolate flavors are there, but they’re bigger, bolder and more complex. 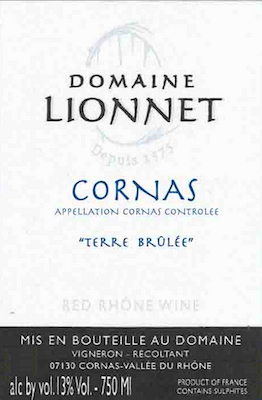 The body is thick and robust, with a velvety texture and a bitter, dry and warming finish. 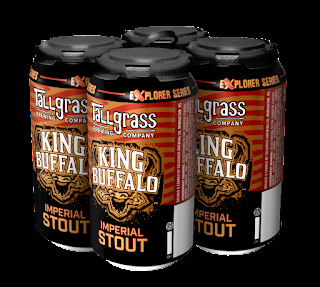 There’s no residual sweetness like that of Buffalo Sweat – because there’s no lactose in this brew – but an earthy, herbal hop character that bounces beautifully off the dark roasted malts. It’s the perfect silky-smooth stout to get you through the cold months ahead. One Buffalo to rule them all. Rich and dense, featuring lots of plum, blackberry and black currant fruit allied to polished tannins. Reveals ample texture and character, with a chalky underlay and smoldering tobacco and charcoal notes creeping in on the finish. Powerfully rendered, pulling equally from the modern and old-school sides of the spectrum. Best from 2016 through 2028. 200 cases imported. Juicy and lively, with lots citrus blossom, lychee and a touch of lime, the 2015 Riesling Kung Fu Girl is medium-bodied, vibrant and crisp on the palate, with terrific purity, integrated acidity and a great finish. It's a steal at the price and will drink nicely for a year or more. and cheers to the outdoor activities waiting just around the corner. 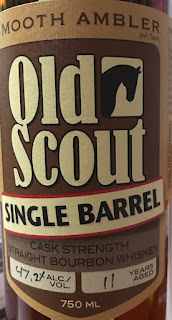 Smooth Ambler Old Scout Single Barrel 11 Year Old. Old Scout Single Barrel Cask Strength Straight Bourbon Whiskey is just what it says; a single barrel that has been bottled at cask strength, usually between 109 and 118 proof. We pick barrels that are different from our stock selection to create unique experiences with each purchase. Combines robust malt character with the luxurious nuance of sweet Chai. Aged in white-oak bourbon barrels, Vanilla Chai Dragon’s Milk is a concert of luscious flavors.